Sint Marteen is a part of the Netherlands, so you will need to contact the Embassy or Consulate of the Netherlands that is closest to you in order to get your visa (if you need one). 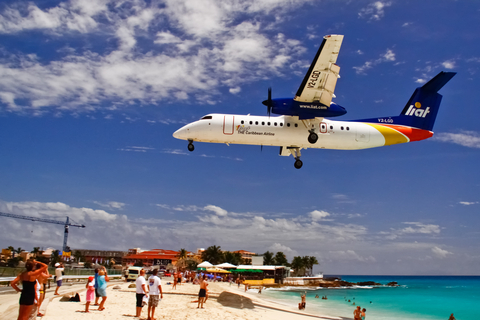 Check this page here to see if you need a visa for Sint Maarten. By the way, if you have time, be sure to check out Maho Beach where you will be closer to an airplane than you ever have been before!